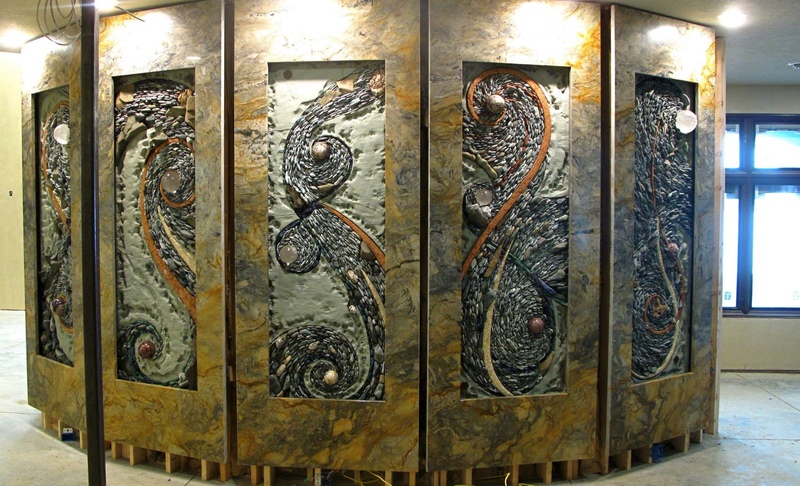 Many people have a specific idea of what art means, from its display to its materials. 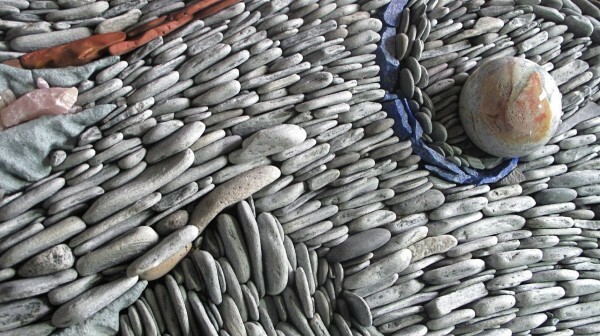 But the two artists behind these gorgeous stone mosaics have challenged many ideas about both art and design. 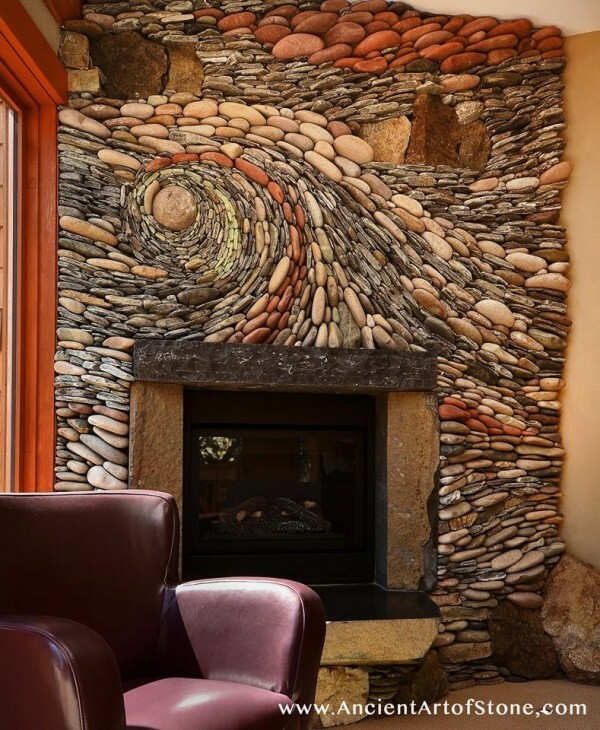 Naomi Zettl and Andreas Kunert, whose company is Ancient Art of Stone, design and build massive stone art installations that double as walls, murals, fireplaces, and more. 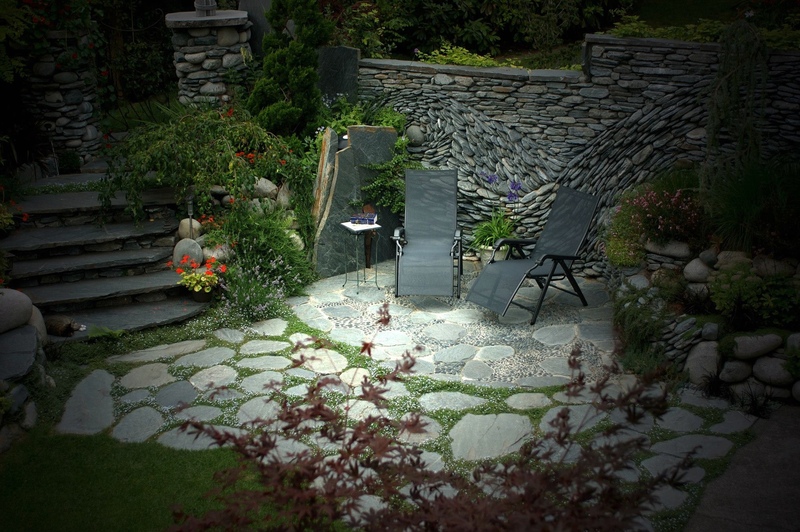 The pair is dedicated to making beautiful pieces that are custom to every individual space, and doing so in a sustainable way. 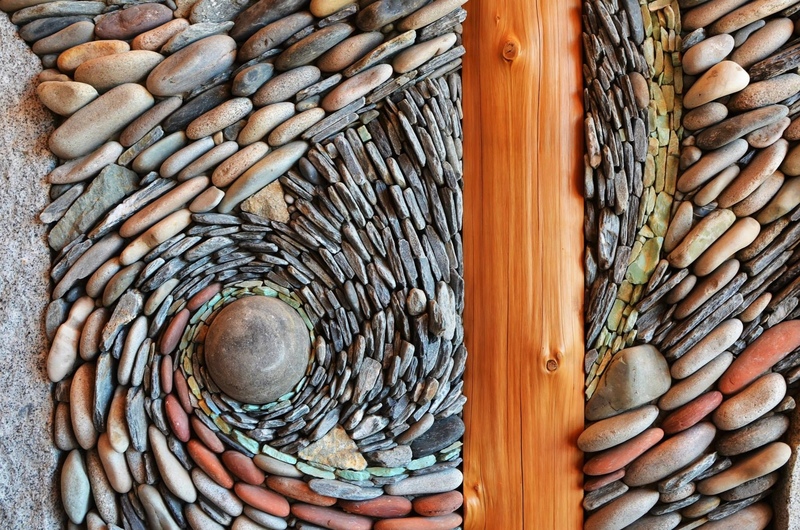 Just take a look at some of their work and try not to be amazed. Here, Andreas and Naomi are posed in front of one of their stunning mosaic walls. Working in concert with the natural wood elements in this cabin, the stone designs add a special texture and warmth. 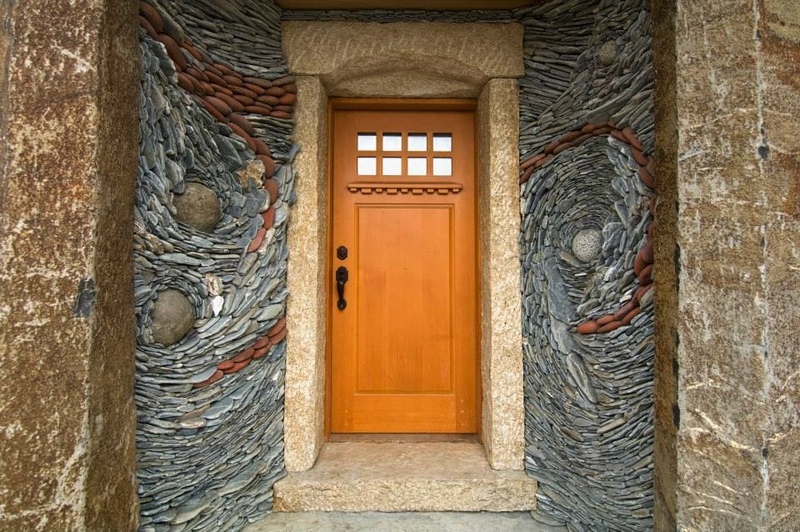 The technique is also appealing on exteriors, as seen here, contrasting with more standard stone work below. 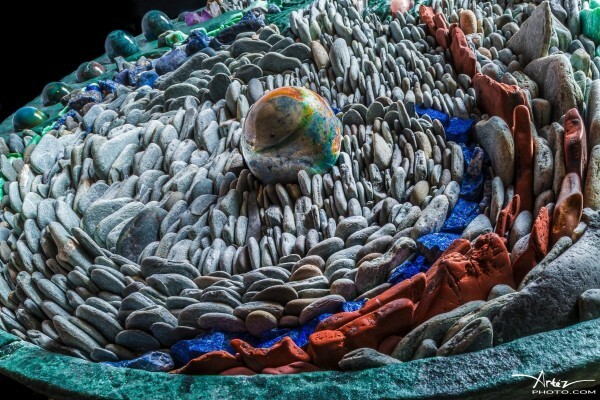 From up close, we can see the painstaking detail necessary and impressive volume of stones necessary to create these works. 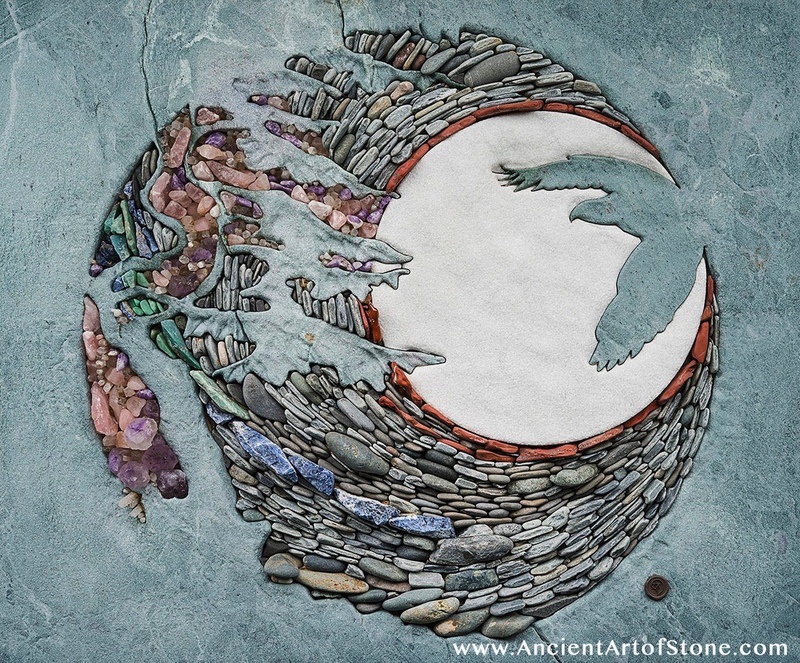 The stones can even be used to create less abstract compositions, as seen here with this soaring eagle and fully moon. 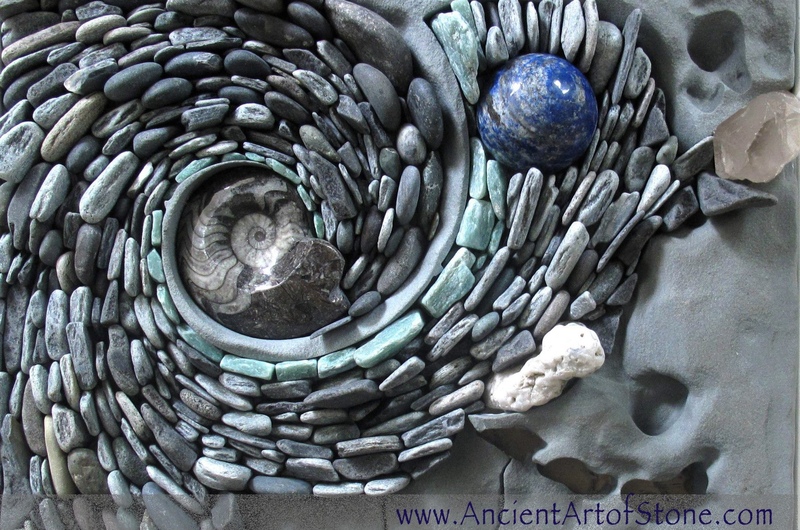 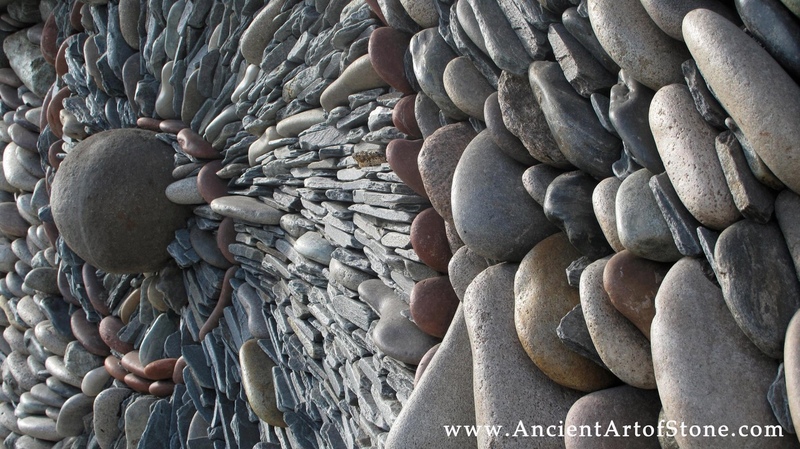 Both stones and shells are largely collected near their home in Vancouver Island, British Columbia. 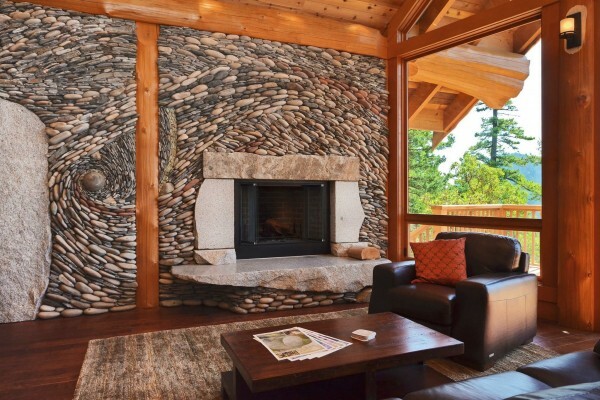 In this secluded patio, the stone mosaic background almost creates a static waterfall effect, but with more permanence. 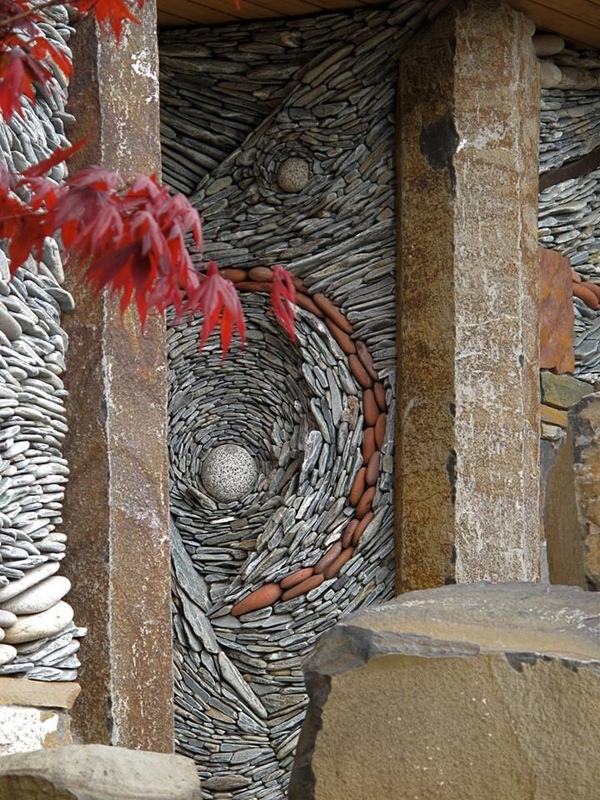 Spiral designs are common in the stone pieces, lending each piece its own fluidity. 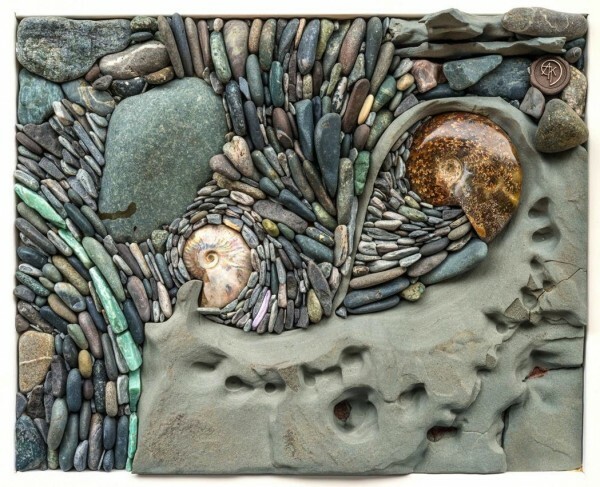 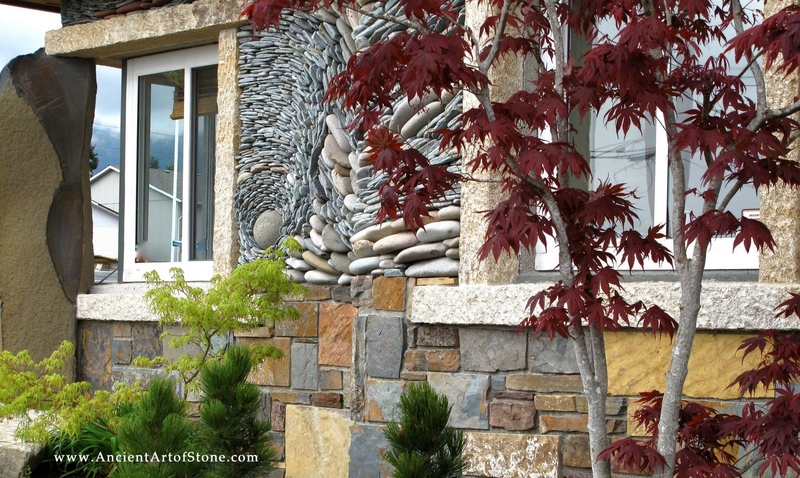 Larger stones, shells, and fossils can add important pops of color and texture. 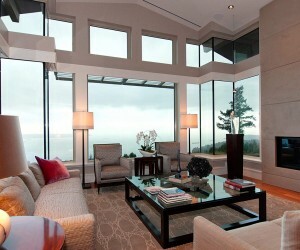 The stones are also surprisingly adaptable to both warm and cool color schemes. These creative pieces make up a wall but almost seem to sit in frames. 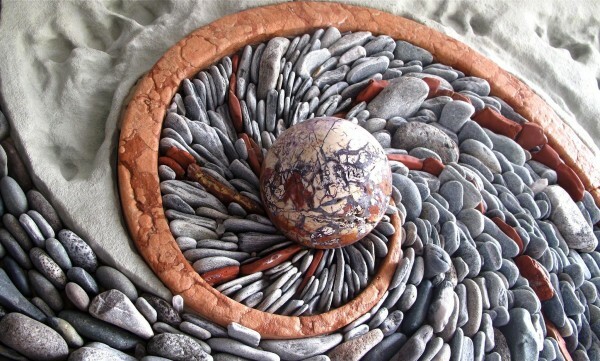 Long, complex pieces are labor and material intensive. 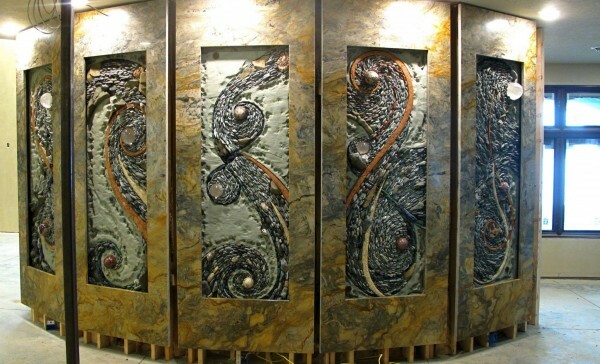 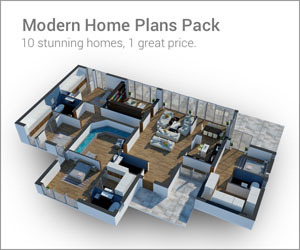 But the team can create entire walls at their studio and ship them to building sites around the world. The variety of sizes and shapes of stones used to create a unified and very purposeful design is staggering. Positioning large, rounded stones in the center of spiraling designs has the effect of nearly creating a solar system. 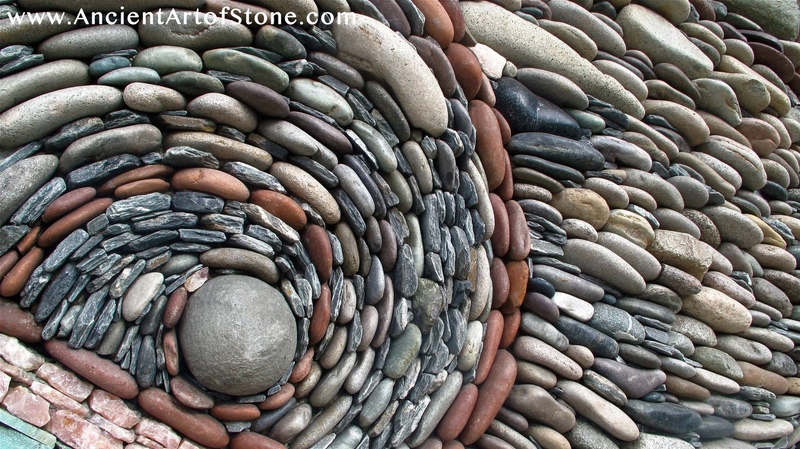 Particularly when that central stone is colored like the earth. Stone entryways give visitors an immediate impression of a welcoming and creative home. 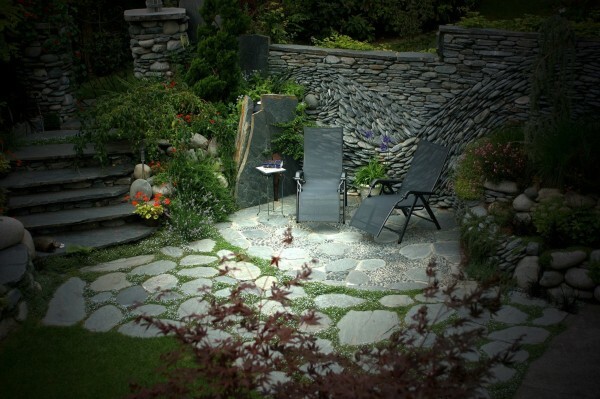 The stone designs, of course, play very well with natural features like plants and trees. 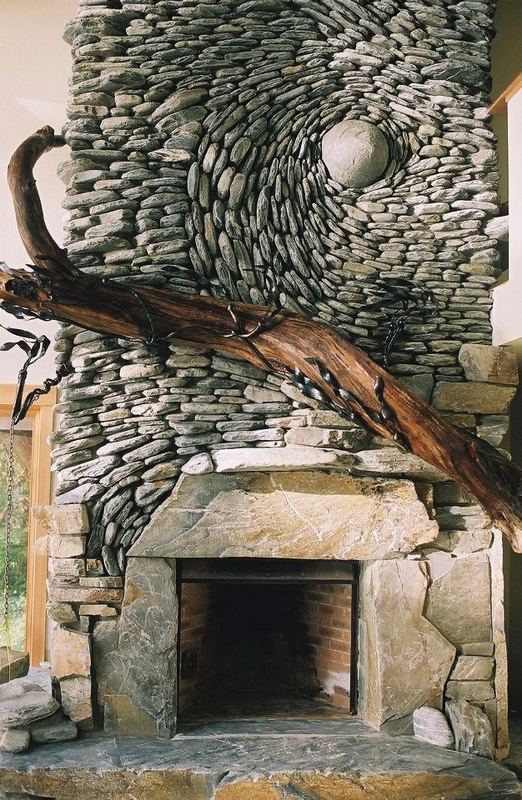 Multiple stone works plus a massive wooden sculpture is make this fireplace something more than a focal point. While this creative carved fireplace may as well exist in Middle Earth.